Full-service, rental property management for a low 8% management fee. If we don't rent your home in 14 days, get one month FREE management. If for any reason you're unhappy with our services, we give you your money back. If a tenant is removed in the first 6 months of management, we find a new tenant FREE of charge. It starts with setting the best rental price that will maximize your rental property's return on investment, minimize vacancy time, and ensure quality tenant placement. 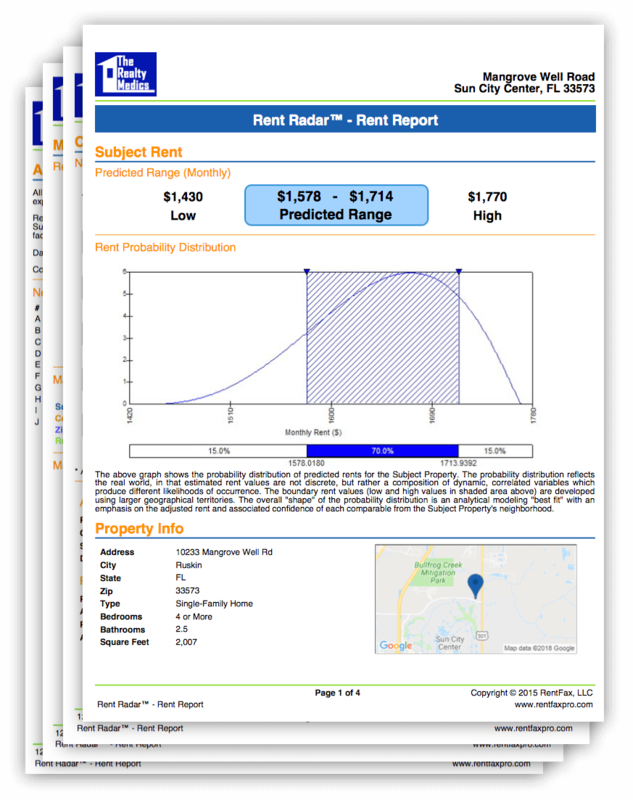 Start now with our 4-page Rental Property Analysis Report! We are proud to be the highest rated and most reviewed Property Management company in Central Florida. We guarantee results and have the lowest rates to support our results-driven philosophy. If we don't rent your home in 14 days you get one month FREE management. If for any reason you're unhappy, we will give you your money back. If a tenant is removed in the first 6 months, we find you a new tenant free of charge. Our Central Florida property management team will find you the right tenant, market your property using a comprehensive plan, handle repair and maintenance issues 24/7, and handle your rental property's financial reporting. We are a complete, centralized, full-service property management company working hard for you! We have a comprehensive, full tenant screening process which includes credit check, prior evictions, background check, employment and income verification which in turn keeps our vacancy rates low. Our Company website has an up-to-date vacancy list at all times and receives the majority of our traffic on rental inquiries with 24/7 availability to schedule showings. When a tenant sends in a maintenance request, we send out a vendor for that issue as soon as possible. For emergencies, all of our emergency vendors can be reached 24 hours per day. We offer our owners a full accounting online portal that ensuring you have control over the financial performance of your property. "We have only been with Reality Medics for a short time after managing the property ourselves for over 30 years. Thus far it has been a positive experience." "I've been using the services of The Realty Medics for more than 10 years now as a property-for-rent owner and am very satisfied with them. They give professional, kind and fast service." Led by a former NASA Space Shuttle engineer, The Realty Medics is Central Florida’s highest-rated and most reviewed property management company. We want people to recognize Central Florida as the best place to live because it’s the best place to rent. We make that happen by constantly re-engineering property management to deliver Property Management Peace of Mind. Below are the current cities and locations that we operate in. If you don’t see your area listed, don’t hesitate to reach out to us and we’ll see if we can work together.